The new, 3rd edition of my book is now available. Amazon is selling it at only £11.18, plus £2.80 post and package. Hopefully a deal now going through will enable you to buy it from UK shops at £15. That low price uses a UK print-on-demand printer, and Amazon’s ‘The Book Depository’. That’s the best way to get this book, from its Californian publisher. September 30, 2011 “Information Clearing House” — In the past decade, Washington has killed, maimed, dislocated, and made widows and orphans millions of Muslims in six countries, all in the name of the “war on terror.” Washington’s attacks on the countries constitute naked aggression and impact primarily civilian populations and infrastructure and, thereby, constitute war crimes under law. Nazis were executed precisely for what Washington is doing today. I’d like to try to give Ian Crane’s take on the Fukushima nuclear reactor explosion – which has more or less destroyed Japan as an industrial nation. It surely behoves all of us to try and grapple with this issue. Was it an Israeli false-flag attack? Let’s recall that in London on July 7th an Israeli security firm Verint Systems had been installed on the London Underground; just as on 9/11 Israeli security firms were operating at the relevant airports in Boston and New York*. b) 18 Feb 2011 Japan voted against Israel for the first time at UN, on a motion condemning Israeli West Bank settlements. 3. The Stuxnet virus arrives in Japan shortly after Magna BSP arrived. This was a Mossad/CIA creation, used to wreck Iran’s nuclear reactors in 2010. It is able to undermine liquid-flow technology, while preserving the control dials so it looks as if the system is functioning normally. 5. An earthquake strikes Japan Mark 6.8 on the Richter scale, not 9 (i.e. a hundred times weaker, its a log scale) with an inland epicentre, at 2.48 pm. 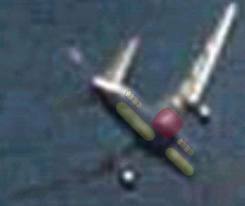 Synchronously, did the mini-nuke blow up, demolishing reactors 3 and 4 at Fukushima? 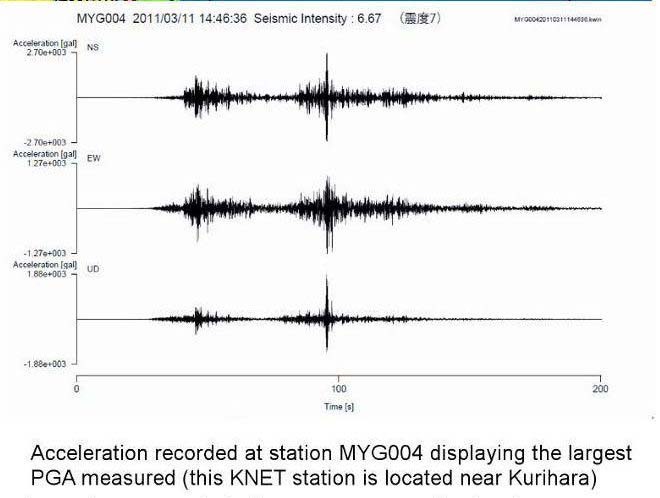 The charts (shown by Jim Stone) are the records from Kurihara, about 100 km north of Fukushima. 6. From three o’clock onwards the tsunami starts to hit Japan, flooding the reactor: this could not have done the damage claimed or destroyed all of the protection-backup equipment. In all the pictures of the Tsunami, no-one was already fleeing or panicking because of the earthquake, its effect was so terrible because it was unexpected. In Jim Stone’s words, ‘the phony 9.0 story [of earthquake magnitude] was used as seismic cover for a tsunami nuke, which produced the tsunami of a 9.0 when detonated in the Japan trench (where no earthquakes of significance happen) … It is obvious NOTHING happened along the coast of Japan until the tsunami arrived.’. Was that Tsunami artifically caused, by a sea-bed nuke at or near the tectonic plate fissure? This is a WAR AGAINST TERRA: “Compare the containment diagram to the remains of reactor 3. It is painfully obvious that many tons of highly radioactive plutonium in the containment pools is nowhere to be found, the entire floor they were on is completly gone.” Tons of plutonium?? 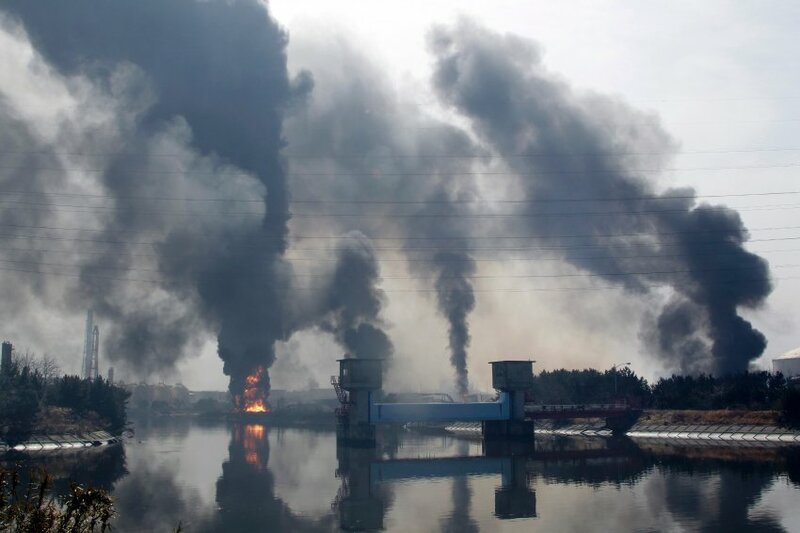 Following the tremor, smoke was seen rising from fires at a number of oil refineries and pipelines like the one pictured here in Tagajo in northern Japan’s Miyagi prefecture. Early Japanese reports – Ian Crane averred – had nuclear meltdown and reactor core explosion starting befor the Tsunami hit. Now that is quite a claim! This would have been due to, he explained, the Stuxnet virus. (talking with Red Ice Creations, at 36 minutes) That has to imply that they knew when the quake was going to strike – or that it was artificial? A few days after the catastrophe, Angela Merkel announced that Germany was shutting down its pre-1980 nuclear reactors. An ‘urgent safety review’ was called for. Germany does not exactly have Tsunamis coming down the Rhine, Ian Crane commented, so what was going on? He made a comparison with the immediate aftermath of 911, when Von Bulow ordered all the Lufthansa Boeing planes grounded, and stripped out US computer software from them – the inference being, that German security experts were suspecting robotic control of planes as the modus operandi of 911. The pre-1980 reactors were those having ‘Siemens controllers’ in them. the Stuxnet virus – the most sophisticated cyberweapon ever deployed – had sucessfully targeted these controllers in the Iranian reactors, the previous year. Stuxnet is an internet worm that will do nothing much until it finds a Siemens programmable logic system. These are found in nuclear power plants. Tokyo dealt a slap on the wrist to Tel Aviv by backing Palestinian rights at the UN. Not to be bullied, the Israeli secret service launched the Stuxnet virus against Japan’s nuclear facilities. The Tohoku earthquake and tsunami were powerful enough to damage Fukushima No.1. The natural disaster, however, was vastly amplified by two external factors: release of the Stuxnet virus, which shut down control systems in the critical 20 minutes prior to the tsunami; and presence of weapons-grade nuclear materials that devastated the nuclear facility and contaminated the entire region. 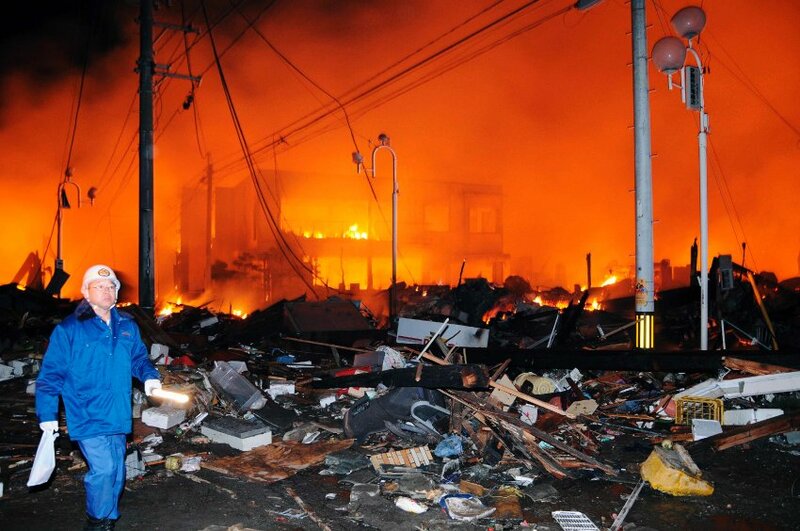 The super-quake struck Japan, along with the devastating tsunami. At that point in time, Israel and the Americans programmed their Stuxnet computer virus to trigger the nuclear catastrophe at Fukushima, the major site for Japan’s nuclear weapons development program. Stuxnet, developed to disrupt Iran’s nuclear program, is also effective against the nuclear power generation systems of other nations using standard supervisory control and data acquisition (SCADA) software, including the plutonium MOX fuel processing operations at Fukushima. Stuxnet can be used to blackmail recipients of the smuggled plutonium material, including MOX fuel, into silence. The story keeps alluding to the Fukishama plant having some stored nuclear warheads, somewhat secretly, which impedes the Japanese authorities from speaking out on te subject. ‘Jim Stone’ (Pseudonym) claims to have worked in NASA with ‘above top secret’ clearance specialising in electronic warfare – see here. NB Concerning the sceptical comments posted below: those were from before 2nd October when I’ve now added in this second and it seems to me rather authoritative view, which endorses Ian’s thesis of Israeli complicity – and helps to explain why the Japanese govenment is keeping so quiet about the blast. * See Appendix 2 of my book, ‘Terror on the Tube’ – Israeli Security Firms: mainly comverse Technology, Verint Systems, ICTS Europe and Fortress GB Ltd. Note the date numerology 11th of March: 3/11 – same as Madrid bombing in 2004, after 9/11 on 2001. Was Anders Breivic (AB) a Zionist, who massacred the children in response to Norway’s anti-Israel stance? Or, did he do it for the reason he stated, namely that too many Muslims were flooding into Norway? The media have taken the latter view, while some eg Adrian Salbucci, have taken the former.